I decided to start a new section on the blog: ‘Ask Bonnie’, and I’ll try to answer any questions you may have about cosmetics. Yes, because I’m ambitious like that! 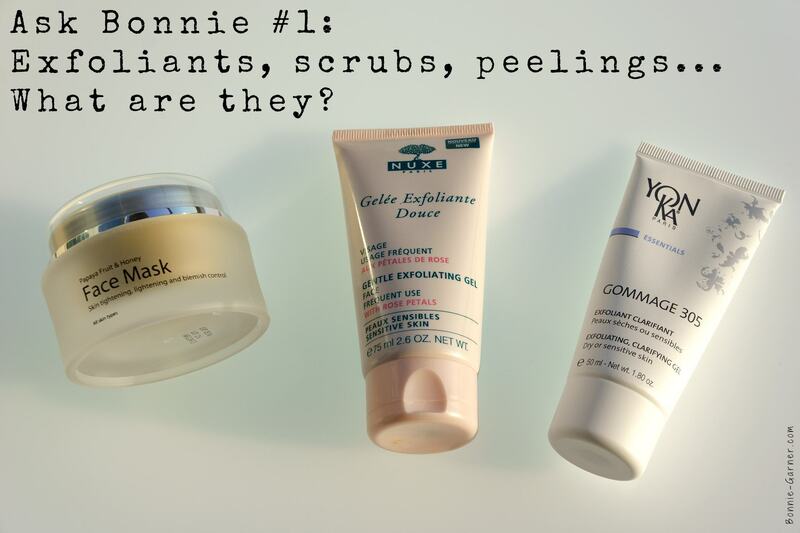 Today, all you ever wanted to know about exfoliants, scrubs and other peelings! 1. What is an exfoliant? An exfoliant is a cleansing and exfoliating (duh) product used to remove dead skin cells (at the surface of the skin), by mechanical or chemical action. This is usually applied on a clean skin, so after having used your usual cleanser. 2. What is an exfoliant for? As mentioned above, a scrub exfoliates the skin, so it basically removes the dead skin cells that accumulate on the surface of the skin. Yes the skin renews itself by eliminating its own cells. The dead skin cells that are on the surface of the skin eventually detach themselves. This phenomenon is called desquamation, also called skin peeling. However, according to the skin type and also the age, this desquamation is more or less important and dead skin cells that accumulate on the surface eventually dull the skin. The exfoliant is going to help accelerate this phenomenon of desquamation. 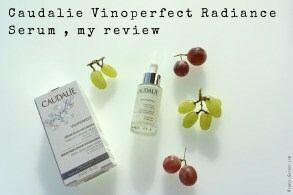 As a result, a radiant skin, not so dull, with a smooth and even appearance. Exfoliation also increases the absorption of the products you apply after (serums, moisturizers), and will also amplify the effects of face masks. 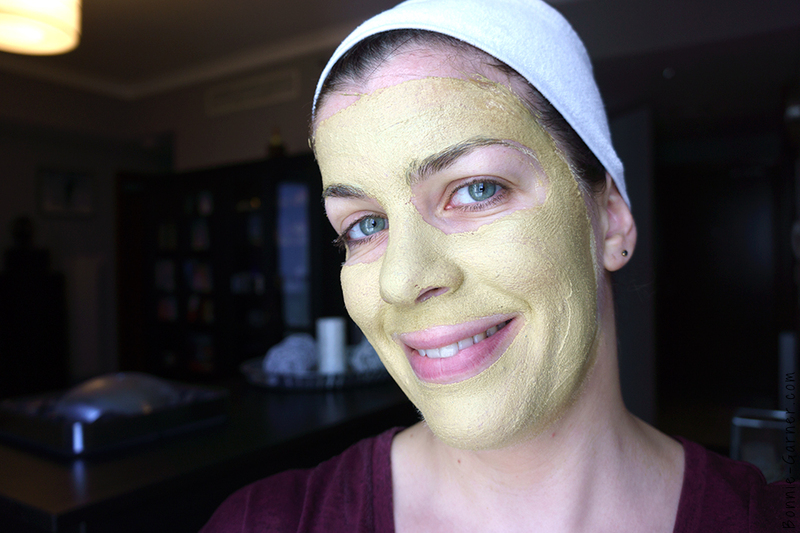 Applying a face mask without having first exfoliated is not really useful for the skin, because too many dead skin cells prevent a deeper action of the product. 3. 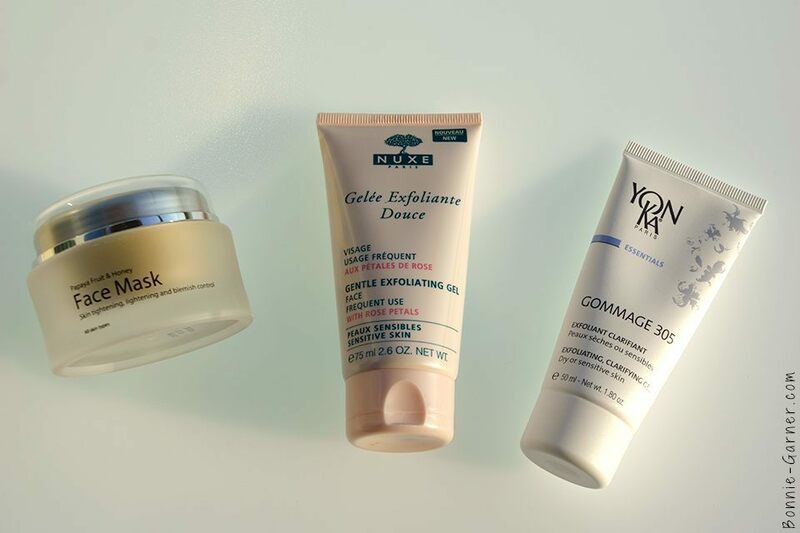 What are the different types of exfoliants? Mechanical exfoliants will have an action on the skin by friction, and they will help to remove dead skin cells but also to “polish”/smooth the skin. They can be gels or creams containing small and abrasives grains. These small grains are either synthetic (polyethylene for example) or natural (crushed fruit pits, sugar, salt…). There’re also exfoliants that dry on the skin and you have to remove with your fingertips using gentle strokes. The product will peel off, removing dead skin cells at the same time. 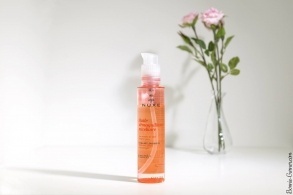 On the first photo above, it’s the Gentle Exfoliating Gel with Rose Petals by Nuxe, with its grains. On the second and third picture above, it’s the Gommage 305 by Yon-Ka. The third photo shows the small peels obtained by gently rubbing the product with my fingertips. There is no need to rub the skin with these. These products exist in cream or gel forms and act by chemical action to remove the dead skin cells. They contain keratolytic ingredients (fruit acids, salicylic acid, urea, for example) that will basically soften the top layer of the skin to allow the removal of dead skin cells. They will also remove the first very thin layer of the epidermis. The action is more or less powerful depending on the concentration of these keratolytic ingredients. 4. Are scrubs and peelings the same product? 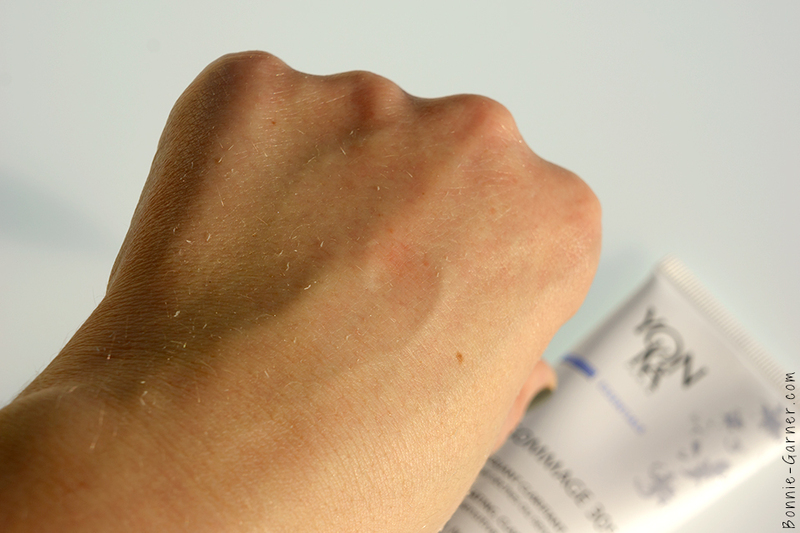 Peelings are closer to the category of chemical exfoliants but in this case, it contains a larger concentration of keratolytic ingredients. So they’re usually more powerful. A peeling is used to remove dead skin cells, but also a thin layer of skin. 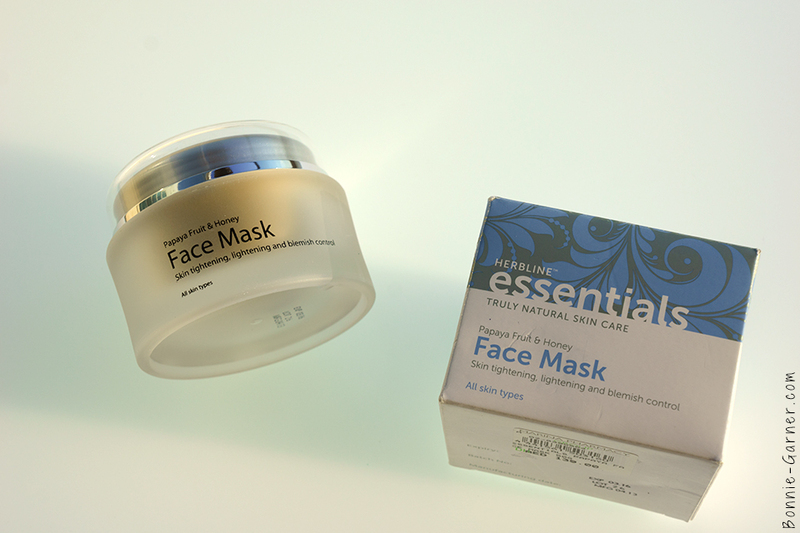 This is a perfect product for people who have dull or thick skin or for an anti-ageing action. Indeed, when you remove this thin skin layer, it basically forces the skin to renew itself faster.This renewing action and the “new skin”effect will diminish the appearance of wrinkles, which will not be as visible after a peeling. You can find a lot of different kind of peelings: some face masks which you have to leave for a few minutes on your face before rinsing but also some with treatments, which you have to apply every night for about 1 month to see a result. 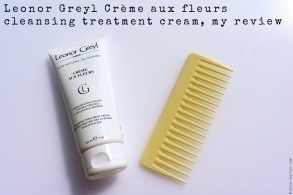 I often do this treatment for 1 month during Fall or Spring to re-boost my skin. It’s something I do at home, no doctor needed for this treatment. The peeling I’m using are considered as “soft peeling”, it’s not the kind of treatment that leaves your skin red and torn up. Peelings are rather intense treatments that refine the skin. Yes, even the soft ones. 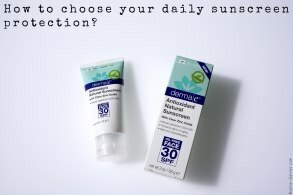 So, you want to avoid using them if you have a very thin and sensitive skin, with redness. 5. 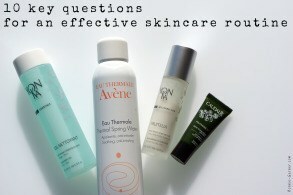 Do the cleansing devices like Clarisonic, or sponges like Konjac, exfoliate the skin too? These accessories will allow a gentle skin exfoliation, which goes further than just cleansing. You can use them every day, but not more than once a day (morning and evening, it’s a lot, in my opinion). 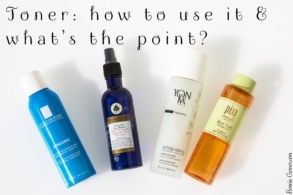 Same thing for the acid toners (like Pixi Glow Tonic, for example). 6. If my skin is sensitive, can I still use an exfoliant? Of course, you can use an exfoliant if you have sensitive skin, but be careful about 2 important points: the frequency of use and the degree of abrasiveness of the scrub used. In the case of a sensitive skin, I am not the biggest fan of scrub exfoliants (with grains), which I find too harsh for fine and reactive skin. Moreover, I’m not a fan of scrubs with grains in general. They’re definitely too harsh for everybody. So I’d rather recommend using a soft exfoliant which peels (the rubbing gestures to remove it are very soft and you usually don’t have to rinse it off) or a chemical exfoliant (so much gentle). 7. Can I use an exfoliant with my acne prone skin? Yes, but just some of them. Scrubs with grains should be avoided because the grains have a tendency to “break” the pimples and to disseminate the bacteria on the rest of the face. As a result, it can provoke a proliferation of acne. Not really a good idea! So, exfoliants like a soft peel or a chemical exfoliant are more suitable for this specific skin type. 8. Does an exfoliant remove blackheads? To completely remove a blackhead, nothing beats a manual extraction (you have to do a proper facial in a beauty salon). But regularly using an exfoliant will prevent blackheads from oxidizing (when they become black), which is already great! 9. How many times a week should I exfoliate my skin? 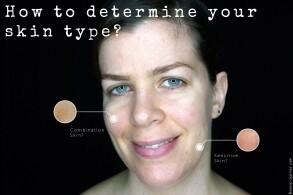 It all depends on your skin type and your skin needs. – Sensitive skin: 1 time a week max or 1 time every 15 days. It’s enough. The skin is already very thin, no need to traumatize it with a crazy exfoliation. – Finally, for acne-prone skin: 1 time a week is a good rhythm. 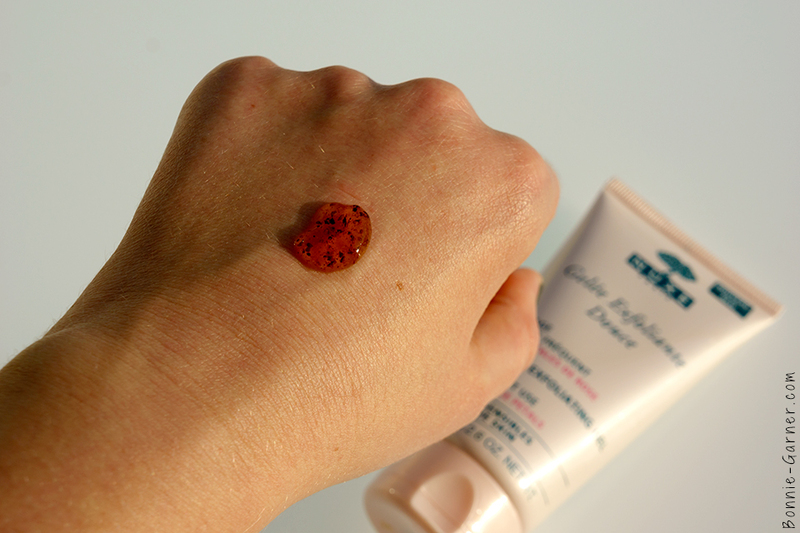 And what about daily exfoliating products (like this one for example)? I am strongly against the idea of using a scrub with grains on a daily basis. And it’s even worse if you’re using it day and night. I’m not a fan of scrub grains in general, because I find them too aggressive for the skin, so by using them every day, you’re not cleaning your face, you’re scouring it. And nobody needs a detergent for his face! 10. An example of good exfoliants? I’ve been a fan of exfoliants forever because I love to feel the the softness of the skin after and it’s the best anti-dull weapon I know. But it’s been over 10 years that I haven’t used a scrub with grains regularly. I always ended up completely red when I used one, and my skin is not particularly sensitive… So if I can’t find anything else to exfoliate my skin, I would use one, but scrubs are definitely not my thing. My favorite for years has been the Gommage 305 by Yon-Ka, a French brand. It’s a gel you can apply on your clean and dry skin. 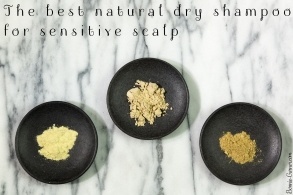 You allow it to dry for 1 or 2 minutes and then, you rub it gently with your fingertips. It peels softly, so you rub it until you don’t have anything to remove and that’s it. No need to rinse it off. 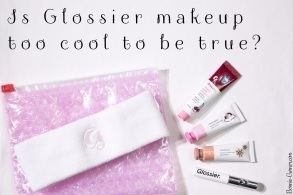 It is ultra soft and gentle (you can even use it on the eye contour for example) and it contains hydrating, soothing and brightening ingredients (that’s why you don’t need to rinse it off, you want to keep the rest of the product in your skin). This is a great and very complete product. And quite unique, in my opinion. I never really found anything similar in any brand. I use it once a week, before my face mask. 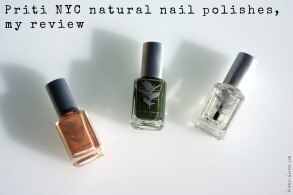 It is available in some beauty salons or online (but not in every country) for $40 or so (depending on the retailer). To be honest with you, I worked at Yon-Ka for several years but this is not why I recommend this product over another. 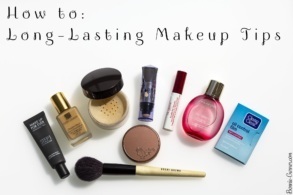 I am curious by nature and I am also a beauty blogger, so I like to experiment new products. 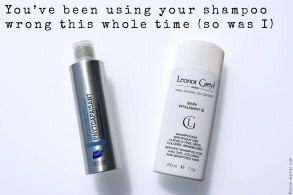 I tried other exfoliants to compare, and I have never found better ones. So, let it be known. I also love peelings. Well, OK, let’s just say I’m obsessed with peelings! They’re very efficient and they really let the skin with the nicest glow. 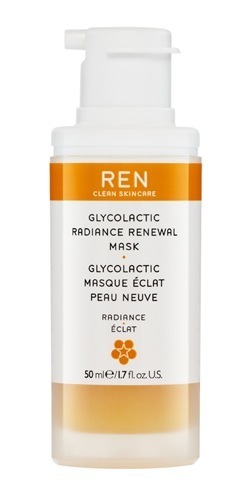 The Glycolactic Radiance Renewal Mask is available in Ren website for about £30 (about $47). I’ll finish off with a product that I absolutely love. It’s a 3 in 1 product: it exfoliates, softens and clarifies the skin. It contains extracts of papaya (exfoliating), honey (softening), clay (absorbent) but also vitamin C, vitamin E (antioxidant)… The chemical exfoliation is due to the papain (= the papaya’s enzyme). 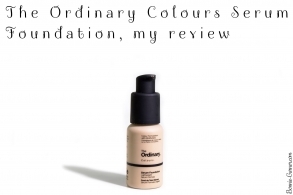 The composition is great and I adore this product! I have already used 3 pots of this (in one year). I’m applying it on my clean dry skin, leave it for 10 minutes and then rinse it off. That’s it. The skin is very soft, and bright. 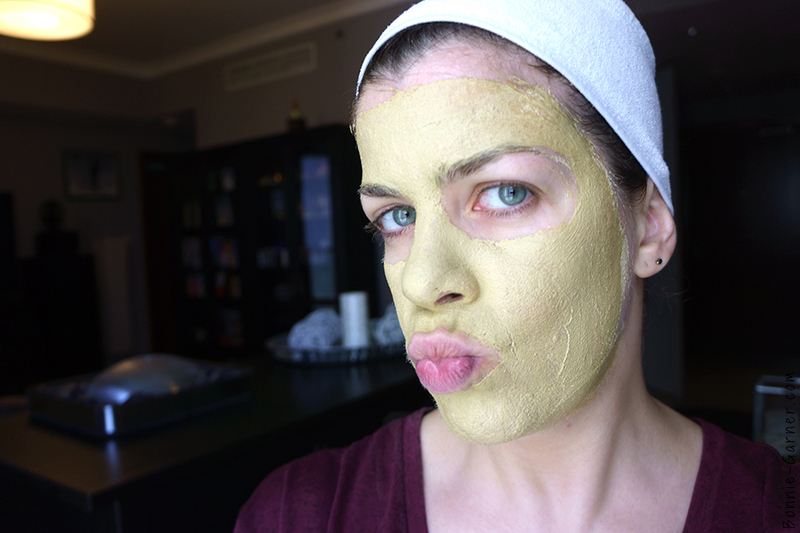 This is my favorite mask after a very short night sleep, for example. Or if my skin looks like it’s grey. Which means I could basically use it every morning right now, ah aha ha! 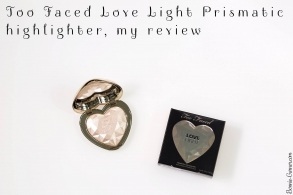 It’s available here in Dubai at Boots for 130 AED or in Herbline Essentials website for $37. And you, do you usually use exfoliants? What is your favorite? Cet article est aussi disponible en français: Ask Bonnie #1: C’est quoi un gommage? 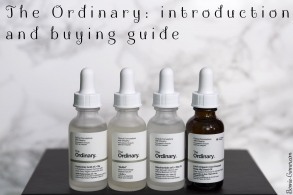 For the daily routine, you may be interested in reading this article about a good skincare routine. Thanks for the reply! I’m definitely going to buy it!